Prevent Identity Theft When Selling Your Old iDevice with 1-Click "Clean Slate" Privacy Safeguard for Ultimate Privacy Protection. 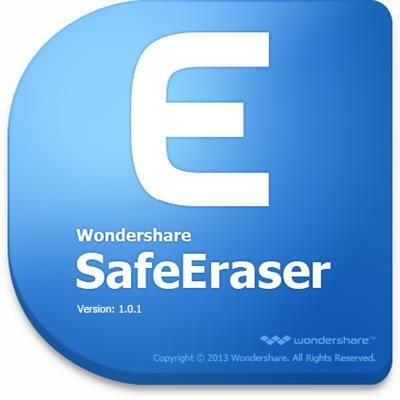 Wondershare SafeEraser is the ideal iDevice "erase" application designed to permanently wipe all personal information from the device using US Military spec over-writing technology to render the data unrecoverable; returning the device to a "clean slate" state before you resell, donate or trade it in. вЂў Wipe EVERYTHING from iDevices: contacts, messages, photos, videos, apps, account info, passwords and other personal data stored on iDevices. вЂў Meets Mil-spec DOD 5220 - 22 M standard for permanent data destruction; prevents personal data from being recoverable. вЂў Works with all iDevices - Jailbroken iPhone friendly and also compatible with carrier-locked iPhones. вЂў Keep your personal information safe, permanently remove it with SafeEraser prior to disposing of your old iDevice.